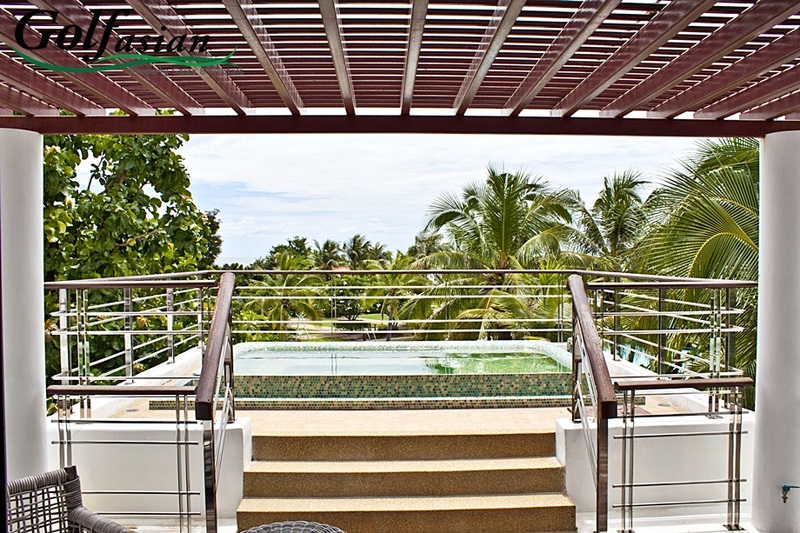 5 Bedrooms (sleeps 10), 6 Bathrooms, various in/outdoor Living & Entertainment Areas. 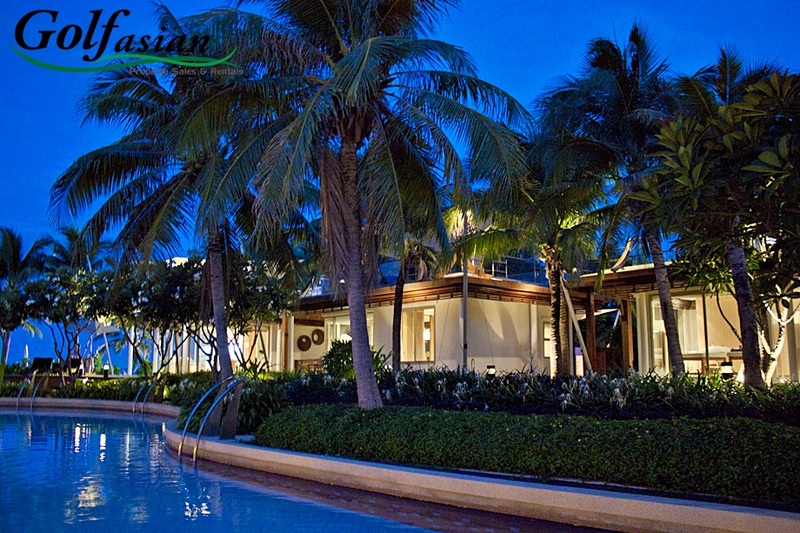 Villa Nilaya Hua Hin is a beautiful beach front property, the perfect setting for a relaxed and luxurious holiday for families and friends. 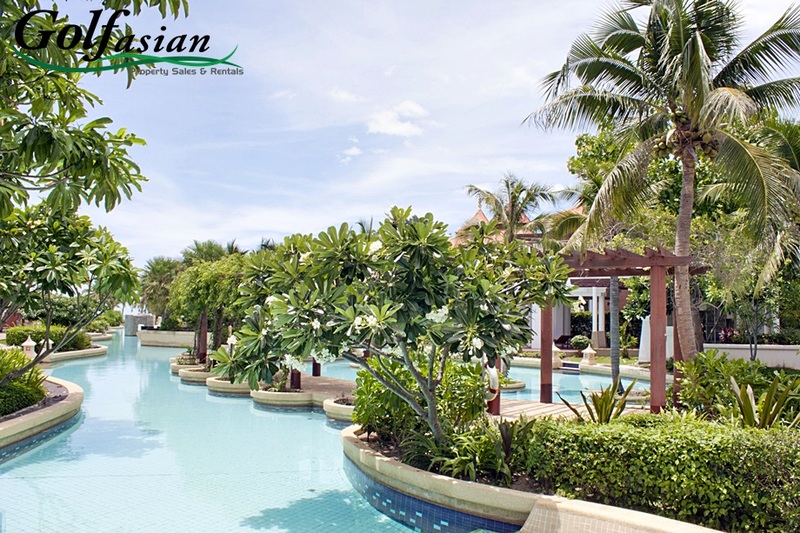 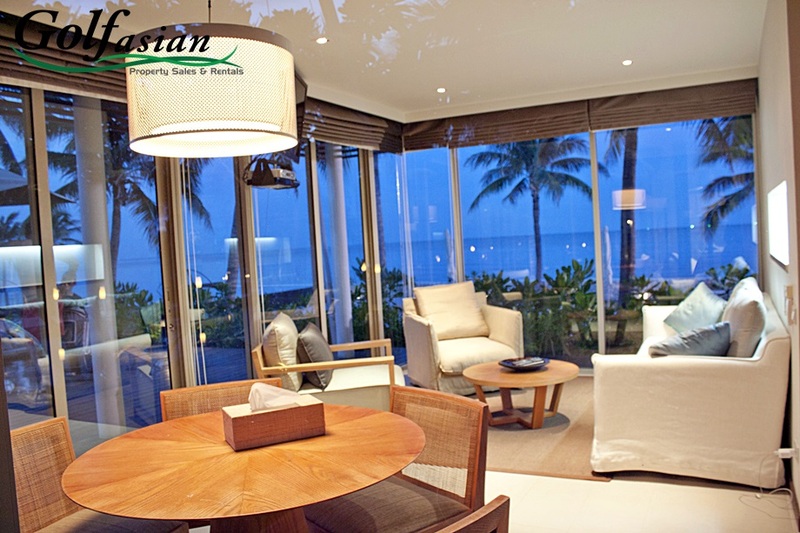 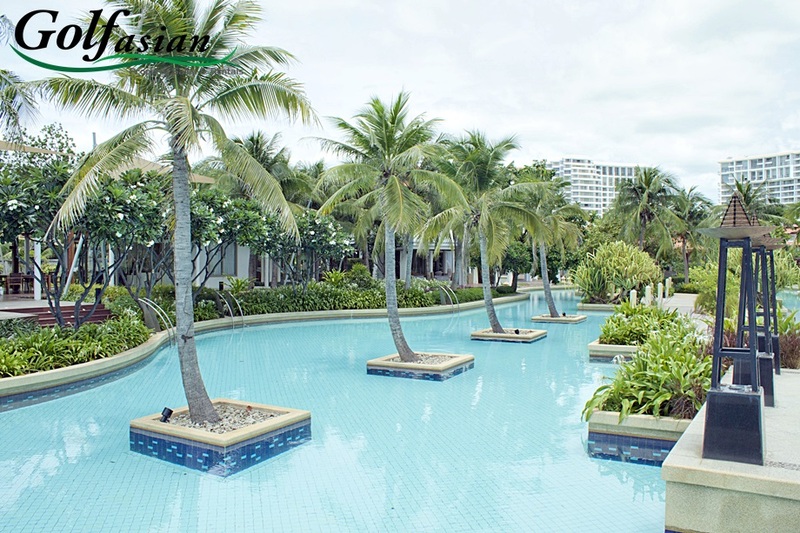 Privately owned and impeccably managed, it is located within the Boathouse residential complex, opposite Palm Hills golf course, just a ten minute drive from the traditional, friendly town of Hua Hin on the Gulf of Thailand. 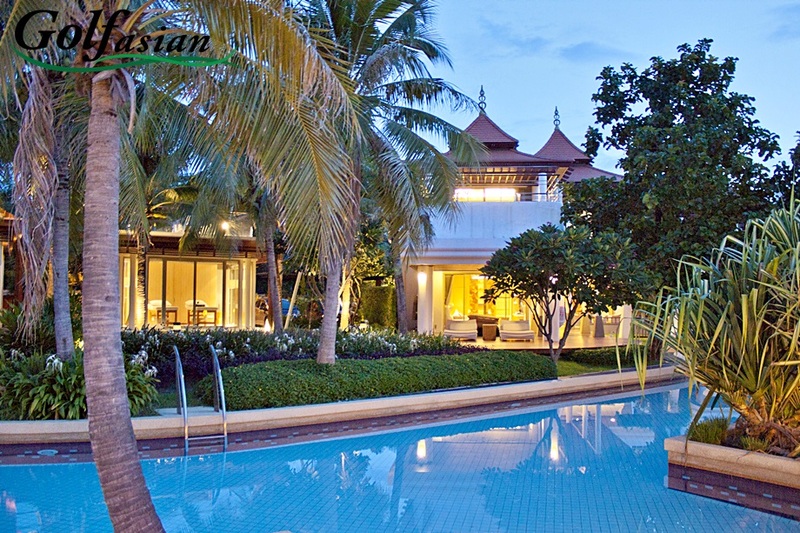 Nestled in lush gardens in a secluded corner of the complex, Villa Nilaya is one of the only true beachfront villas available for holiday rentals in Hua Hin. 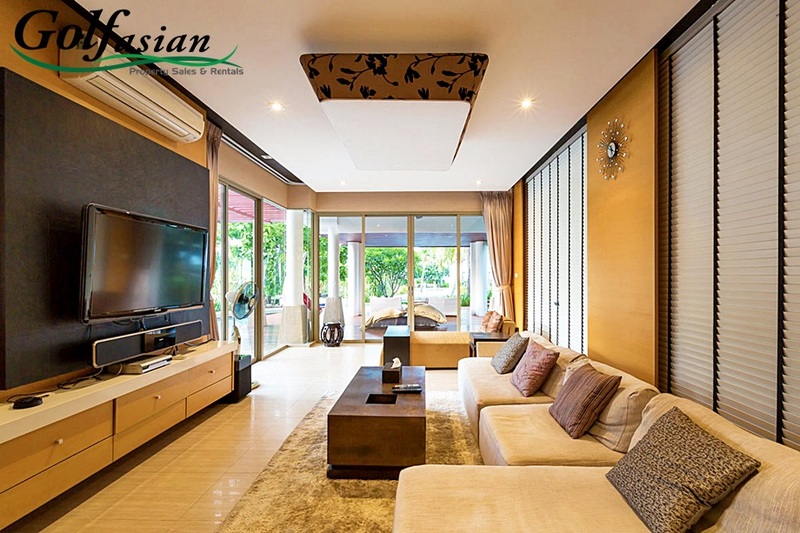 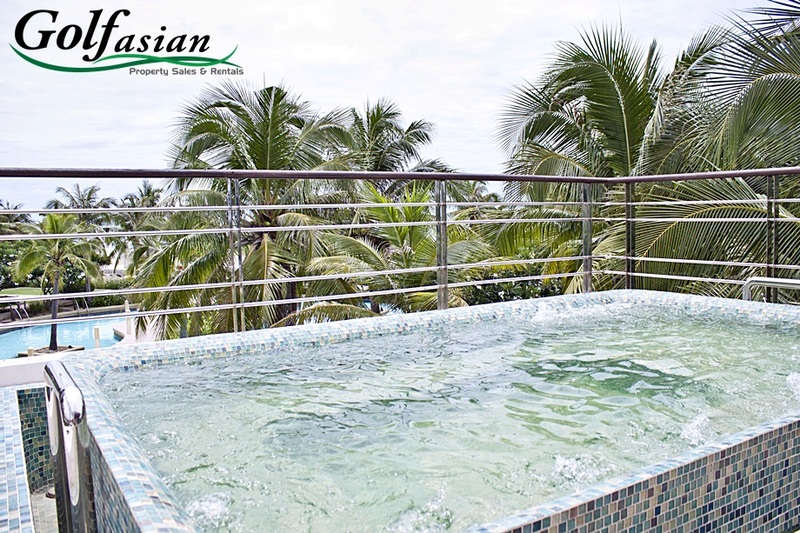 The property boasts an elegant Thai style 3 bedroom villa, 2 detached and modern bedroom/living Salas filled with light, plus a Spa Sala with a steam room, all designed and furnished to the highest standard. 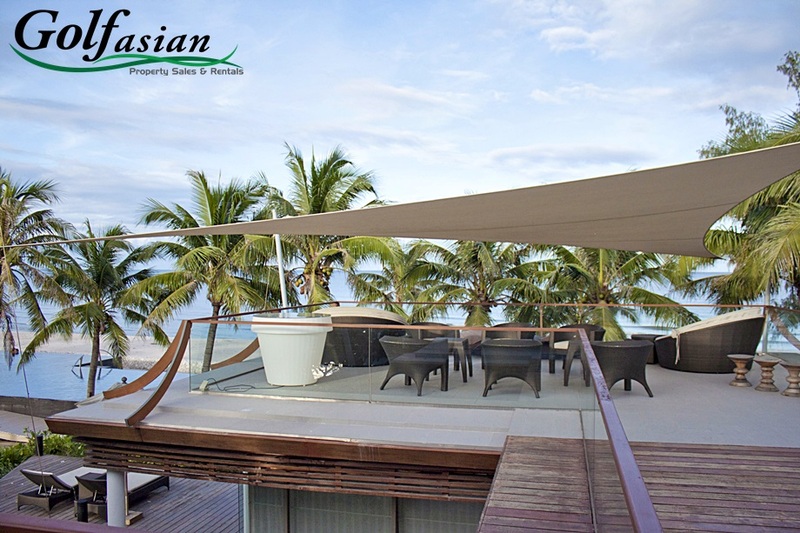 On the roof level, the three Salas are connected by bridges, creating an elegant oversized roof terrace with breathtaking seaviews. 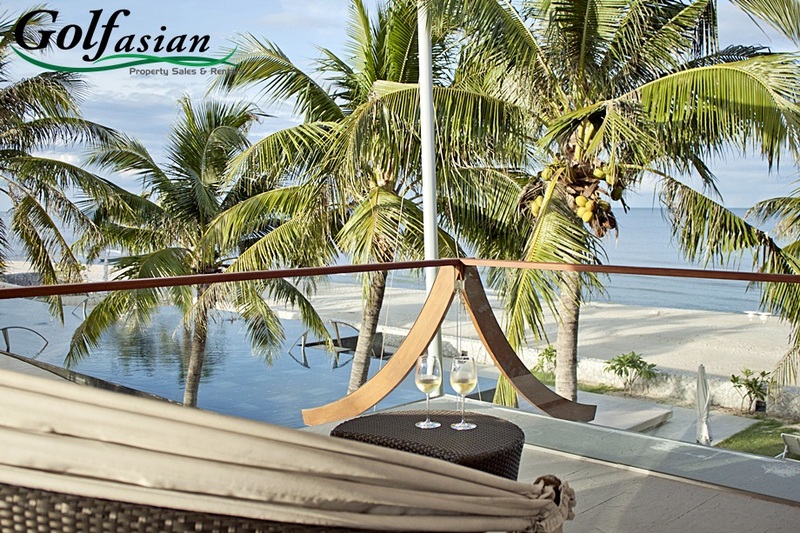 Whether you want to take a refreshing dip in the pool that winds past, wander along the peaceful beach, or unwind in one of the numerous relaxing in/outdoor areas, Villa Nilaya provides it all. 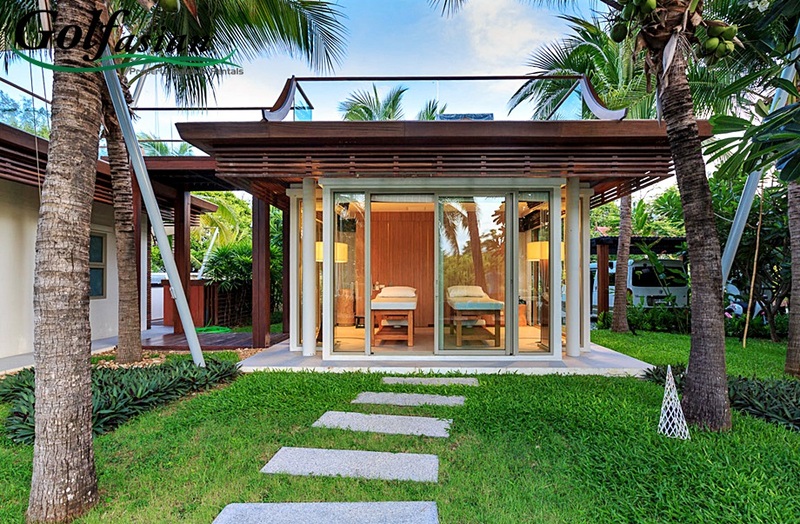 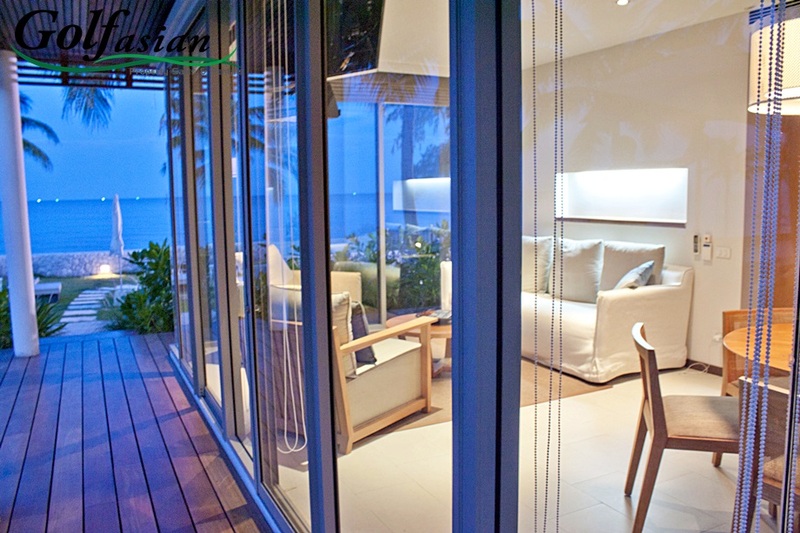 It is one of an exclusive few that fronts directly onto a clean, wide open beach in what remains an unusually private area of the Thai coastline. 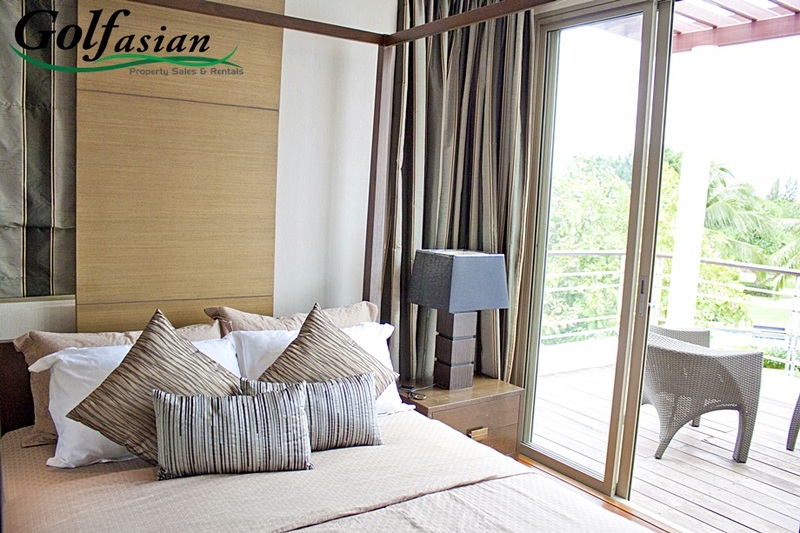 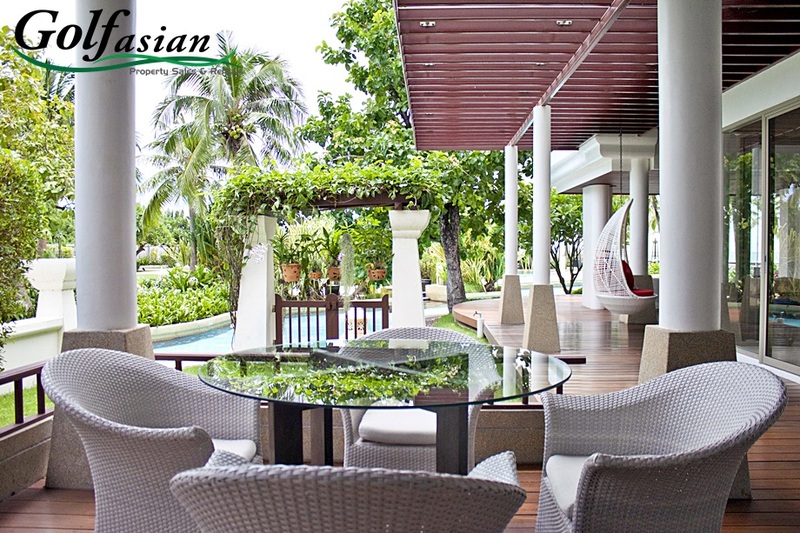 Villa Nilaya is managed by a lovely Thai couple that lives on property 24/7. 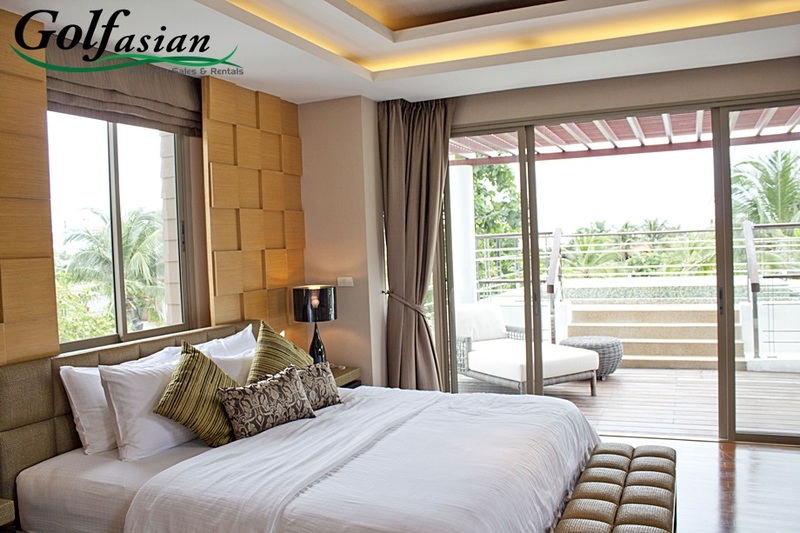 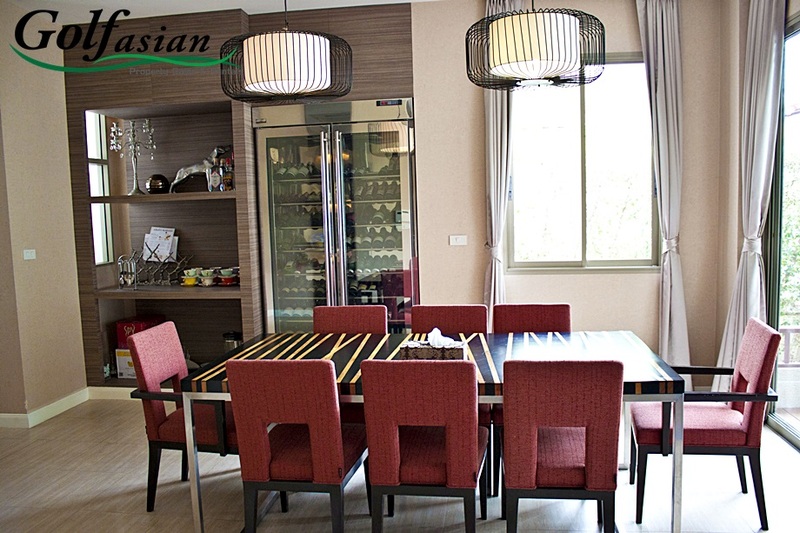 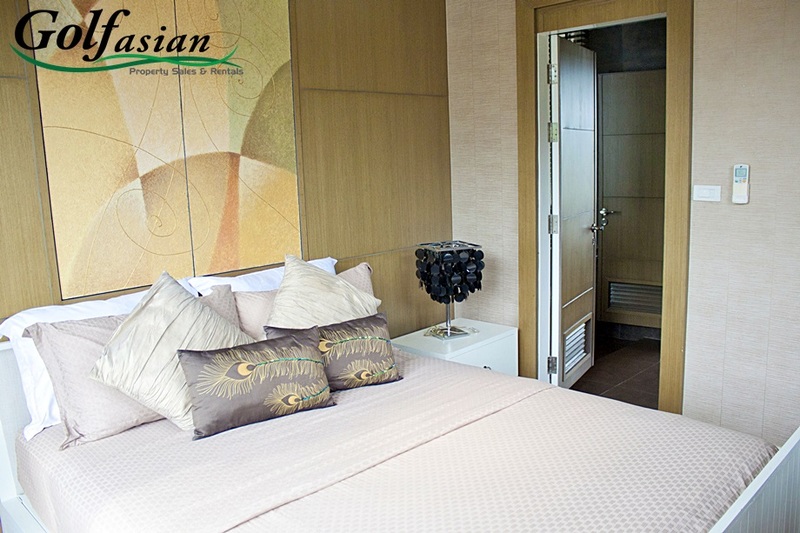 Besides providing daily housekeeping and gardening services, they also provide a delicious and complimentary breakfast every morning, and can take care of your laundry as well as go out shopping for whatever you require. 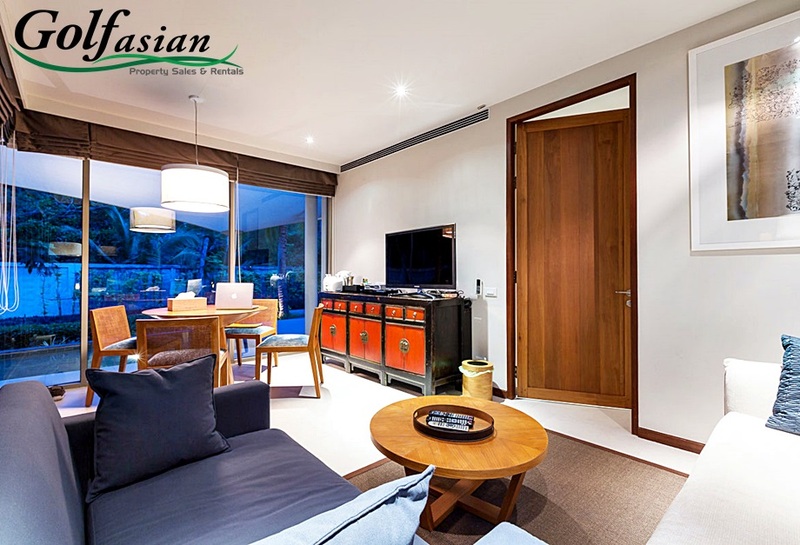 To keep you in touch with the outside world and entertained during your stay, there is WiFi internet throughout the property, flat screen TVs with satellite and DVD players in most rooms, plus an iPod docking station with powerful speakers in the living room.